It’s the time of year for flip flops, swimming, and trying to keep the kids busy. My spring is spent looking for ideas to keep the kids busy during summer. So far we have VBS, art lessons, swimming, play dates, and the library on the agenda. I’m sure there will be more to fill up our long summer days. 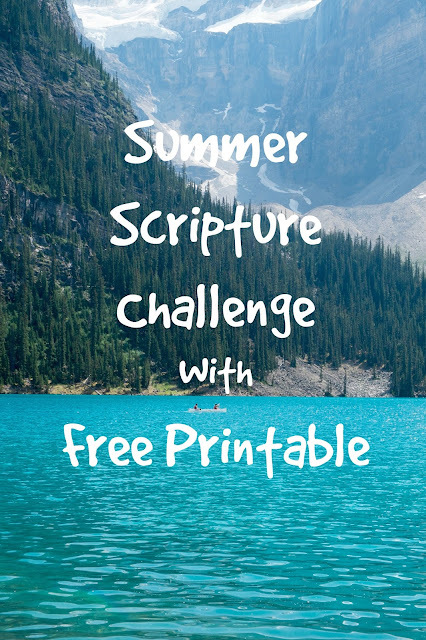 One thing I don’t want to forget is our summer scripture challenge. 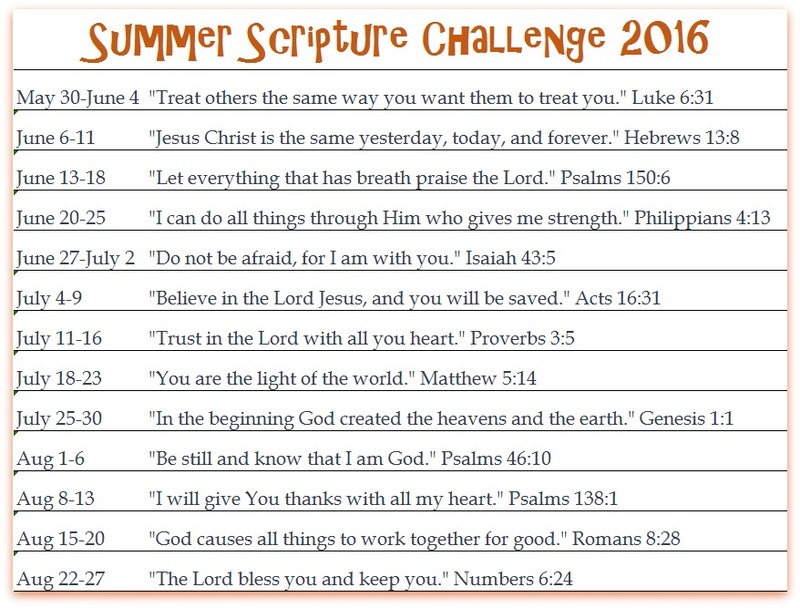 This summer I’m challenging the kids to memorize one scripture verse every week. If they memorize all the verses, I will do something special for them. Maybe a special dinner, or we might go on an outing as a reward. It’s another way to encourage the kiddos to learn Bible verses. Memorizing them now will help them recall the scripture when they are older. “Bring them up in the way they should go.” Right? 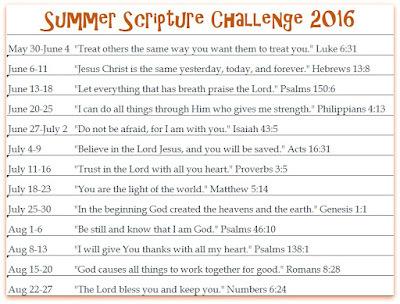 If you want to except the Summer Scripture Challenge, we would be delighted. I have a free printable for you to hang on your fridge or wherever you like. Comment below if you are joining in the challenge. I’d love to hear how it goes as summer progresses.